Streamlining Service Delivery in a Multichannel communications environment. 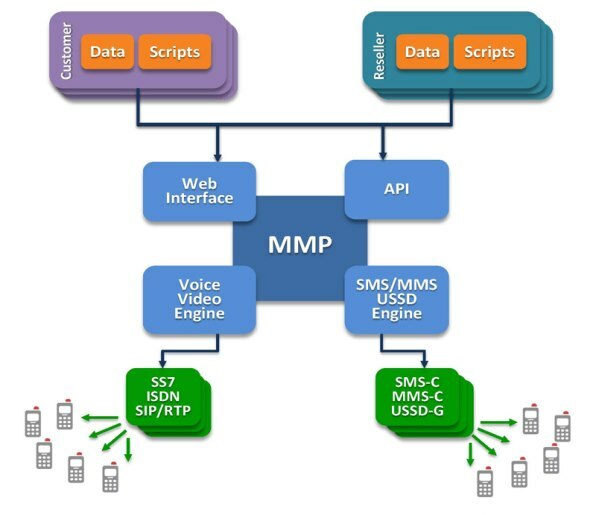 MMP is a multi-channel software platform which enables fast and efficient deployment of Bulk-SMS/MMS, Voice and Video Broadcast campaigns as well as Interactive Inbound/Outbound Voice, Video, SMS, MMS and USSD Services. MMP can act as a complete hosting Service Broker platform with a multi-level hierarchical structure of Resellers accounts. It is designed to be used by large service providers with performances beyond a billion SMS and millions of calls delivered monthly. MMP supports Speech synthesis (TTS) to automatically convert text messages into voice prompts. This simplifies greatly the launch of broadcast voice based campaigns, and allows for delivering text based messages to landline subscribers. MMP can be considered as the core communications layer when building a complete Mobile Money and Mobile Banking platform. It brings a flexible solution which uses all existing communication channels such as SMS, IVR, IVVR, USSD and Email.MMP enables Mobile Payment and Mobile Money services using any Mobile Phone even basic ones and doesn’t require specific or expensive Smartphones.The great advantage of MMP is its ability to connect to multiple Operators simultaneously, host services for multiple Banks and interact virtually with any Mobile handset brand. MMP services can be highly customized using a simple yet versatile web based scripting tool, allowing unmatched flexibility in designing rapidly step by step interactive USSD, SMS and voice/video services. Services can retrieve, use and store data from external content servers/content providers, such as customer bank data. MMP can be easily managed through a friendly Web Interface accessible on any machine running any operating system using a standard web browser without installing any proprietary desktop software. Support of Multiple Operators simultaneously. 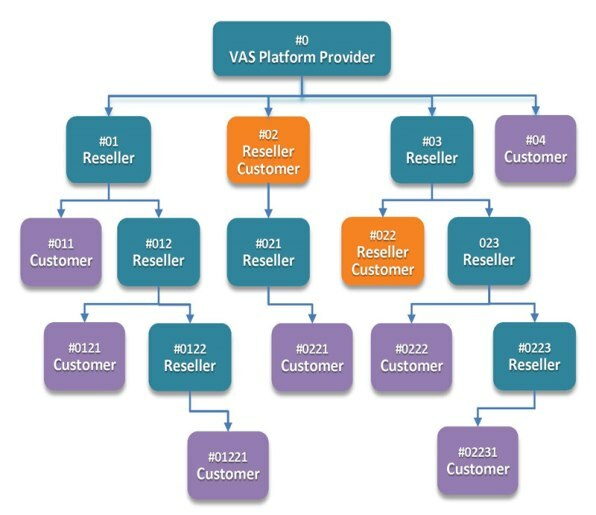 Multiple Service Providers, with multi-level hierarchy. Rebranding capability for each registered account. Extensive performance, Revenue and Activity reports. Multiple Campaigns on any communication channel. Customization of broadcasted messages with information from imported data. Rating of services based on destinations. Access numbers/Short codes are defined and assigned to Services. Web based Design and testing of USSD, SMS and Voice/Video interactive applications. Call Detailed Reports for billing purposes, and billing reconciliation. Support of MAP on SS7-TDM or SS7-SIGTRAN(SS7 on IP) for SMS, MMS and USSD. Support of SS7-ISUP, ISDN, SIP/RTP for voice and video calls. Integration with off-the-shelf USSD Gateways using XML-RPC, HTTP/s, SMPP. Integration with Operator’s SMS-C using SMPP protocol. Integration with Operator’s MMS-C using MM7 protocol. Interaction with Content servers and/or BSS using HTTP, SOAP, .NET SOAP. Role based Web user access. User access and action logging for auditing. Voice Alert, Voice Chat, Voice Notification. USSD-based Pre/Post Paid account selfcare.